The mission of United Veterinary Clinic is to provide quality medical and surgical care to our patients, and assist every loving pet parent in helping their furry companions live a long, healthy and happy life. We strive to treat every pet as if they were our own and exceed our clients’ expectations. Quality. We maintain the highest standards and place an emphasis on constantly improving our medical, surgical and diagnostic capabilities, to improve all outcomes. Compassion. We have a deep appreciation of the human-animal bond and strive to treat every patient as if they were our very own pets. We are committed to providing a caring and supportive environment for our patients and patients’ families. Integrity. We are committed to honesty, transparency and building up a relationship based on trust and respect. Our team adheres to high moral principles and professional standards. Service. We strive to exceed our patients’ and clients’ expectations. Innovation. We adopt a progressive, holistic and comprehensive veterinary approach to patient ailments. A strong emphasis on continuous professional education ensures we practice the latest and most revoluntionary veterinary protocols to achieve optimal outcomes. 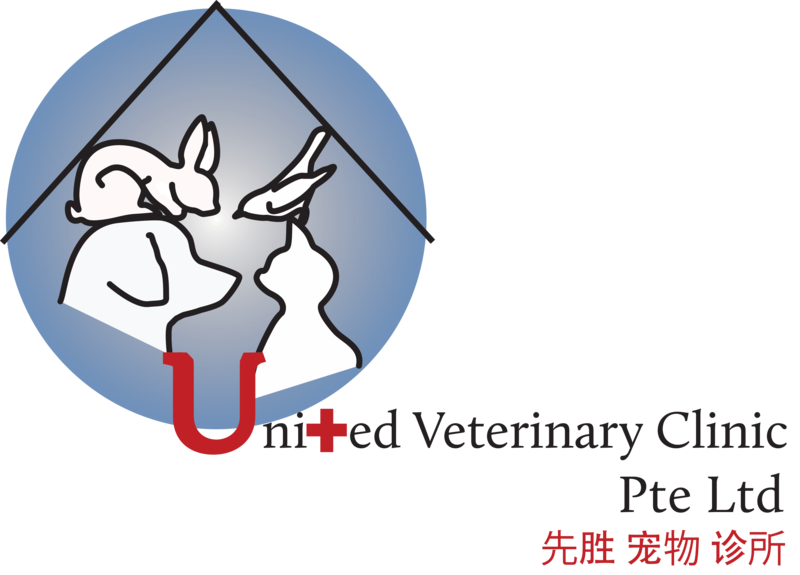 United Veterinary Clinic welcomed its first patients in January 2014, armed with a determination to revolutionize the level of veterinary medicine practiced in Singapore. We are committed to providing the best possible veterinary care for all pets and pets’ owners, irrespective of their medical or material circumstances. We offer intensive veterinary care, with qualified personnel on-hand to ensure that your pets are properly cared for day and night. No matter whether your furry friend is your first pet or you’ve been a lifelong pet owner, we are here to give you exactly the assistance and information you need. Feel free to call us at 6455 6880 or simply stop by. We look forward to providing our very best of veterinary care for you and your beloved pets!